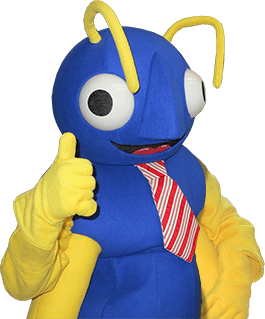 For over 80 years, Big Blue Bug Solutions has been providing superior pest services for home and business owners throughout Rhode Island, Massachusetts and Connecticut. Many people have noticed Big Blue Bug Solutions because of our well-known rooftop icon, Nibbles Woodaway. However, the truth is even more of the public associates Big Blue Bug with effective pest solutions and outstanding customer service. At Big Blue Bug Solutions, we pride ourselves in being up-to-date with the latest advancements and innovations in the pest control industry. We realize better than most how badly a pest infestation can negatively affect a life, a home and a business. At Big Blue Bug Solutions, our professionals are highly qualified and are experts at detecting a current infestation and directing you in the best path of eradication. We offer effective and environmentally sensitive treatments to help rid your home of nuisance and harmful pests, including mice, termites and cockroaches. To learn more about the Leominster pest control services offered by Big Blue Bug Solutions, please contact us today! Although simple, these prevention tips can greatly aid you in deterring summertime pests in Massachusetts. Of course, if you already have an existing pest issue or a problem arises even with executed prevention tips, don’t hesitate to contact Big Blue Bug Solutions today! If you are fed up with seeing cockroaches in your home or hearing mice in your attic, contact the Leominster pest control experts at Big Blue Bug Solutions right away!